New Year’s Eve is the biggest party night of the year—and also the priciest. But there are plenty of more affordable alternatives, even if your budget is set to $0. That includes fireworks, epic holiday displays, and even no-cover dance parties. So if staying in and watching the countdown from your couch sounds a bit sleepy, here are five lively—and free—New Year’s plans worth making in our nation’s capital. What’s New Year’s Eve without fireworks? Just across the Potomac River, the city of Alexandria is hosting a fireworks display on its waterfront. Grab a chair or picnic blanket, and find a spot in Oronoco Bay Park or Waterfront Park for prime viewing. If you do have a bit of money to spend, consider buying a ticket to First Night Alexandria, an evening full of concerts, puppet shows, carnival fun, and more throughout Old Town Alexandria. Tickets are $20 for adults, but free for kids 12 and under. Washingtonians know that the holiday seasons is the prime time to visit the United States Botanic Garden, where good cheer abounds in the “Season’s Greenings: Pollination Station” exhibit. They’ve got model trains, plant-based replicas of DC’s most famous landmarks, plenty of poinsettias, and what the Botanic Garden claims is one of the largest indoor decorated trees in DC—all surrounded by giant butterflies, bees, and flowers. Though the museum closes before the New Year’s Eve countdown, spend the evening strolling the National Mall to learn about America’s past as you stand on the cusp of its future. With prime corner real estate amid all of U Street’s nightlife,Nellie’s is hands-down one of DC’s most fun—and wallet-friendly—bars. This LGBT-friendly hotspot is hosting a New Year’s Eve party featuring a live DJ, champagne toast, party favors, $15 buckets of Budweiser until midnight, and $3 house beer and vodka until 10 p.m. Refreshingly, there is no cover for these festivities, making it a happy new year indeed. Once again, Café Saint-Ex is keeping it real on New Year’s Eve with a no-cover dance party in the restaurant’s basement party space, Gate 54. This dance floor is filled with sweaty young Washingtonians on a regular basis, meaning it is a stupid fun time. You don’t need to order dinner upstairs to get down, but just in case you do get hungry, Café Saint-Ex is replacing its regular dinner menu with snacking-friendly options like fried chicken and build-your-own-taco platters. Open every day of the year except for Christmas Day, the National Zoo is always a good way to spend a day. Though it’ll be open regular hours on New Year’s Eve—plenty of time to see the great apes and the elephants—you might want to save your visit for New Year’s Day. 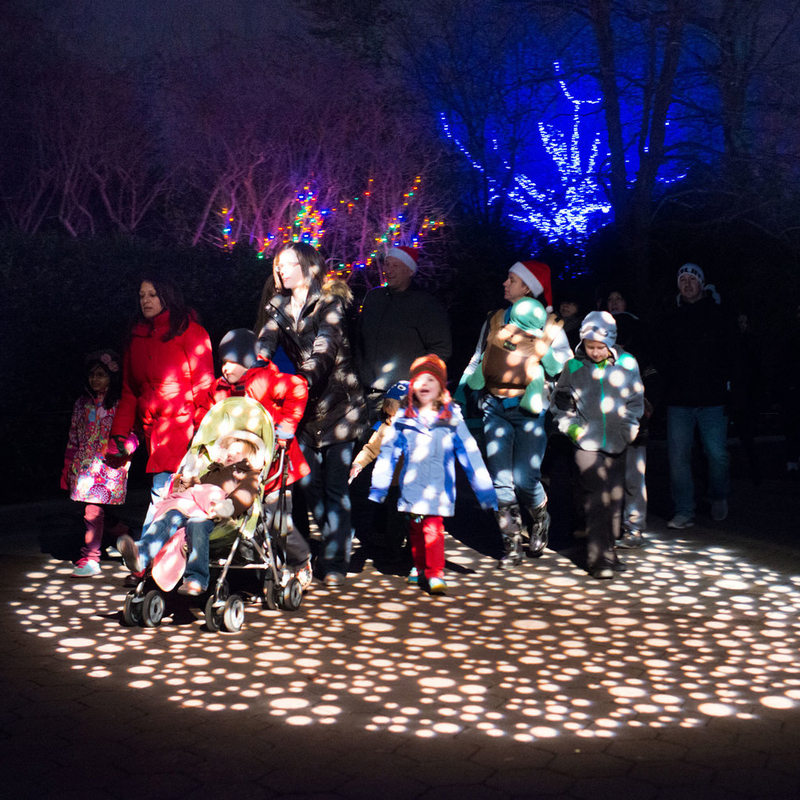 At 5 p.m., the grounds will transform into a magical land of holiday lights for the annual ZooLights celebration. In addition to the more than 500,000 LED lights that make up the holiday display, ZooLights also involves musical performances, snow-less snow tubing on Lion/Tiger Hill, and refreshments like eggnog, hot chocolate, holiday cookies, and gingerbread.